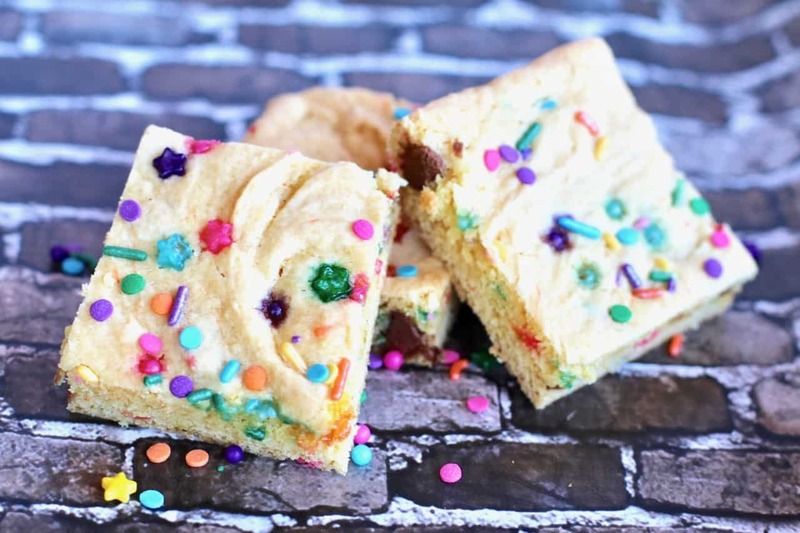 This recipe for the ultimate cake batter brownies is bound to be a new family favorite. 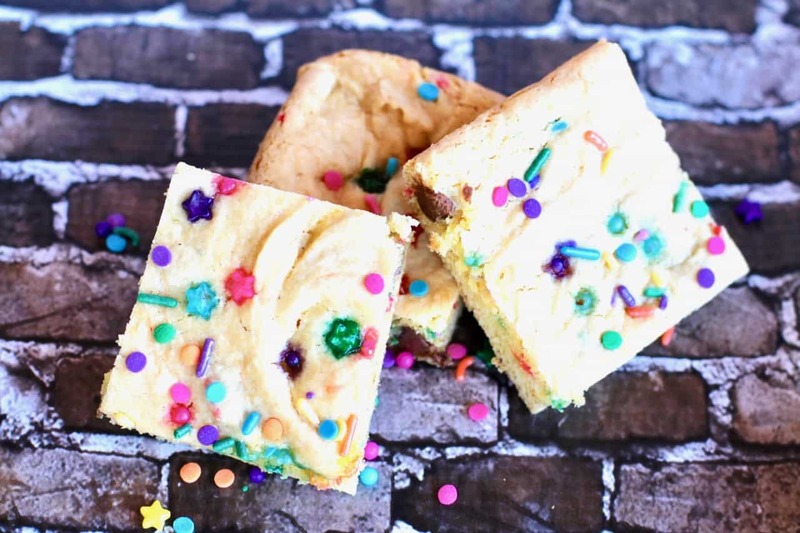 These cake batter funfetti brownies are a cross between a blondie and the best soft and chewy chocolate chip cookie. No lie my husband ate an entire batch on his own! The kids were not happy that Daddy managed to polish off the whole batch of brownies all by himself. 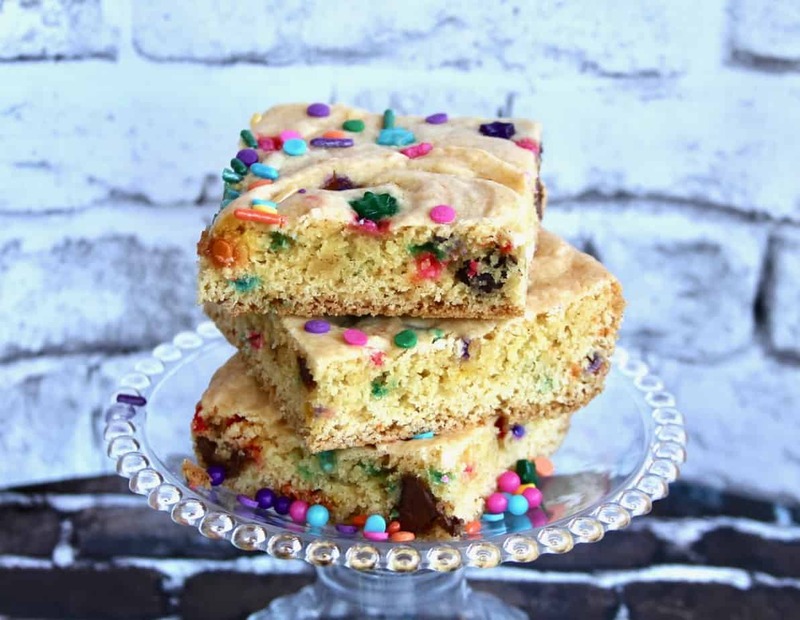 These sweet treats are perfect for lunch boxes as well as special occasions. Preheat oven to 350. Grease an 11×7 baking dish and set aside. Pour into prepared pan. 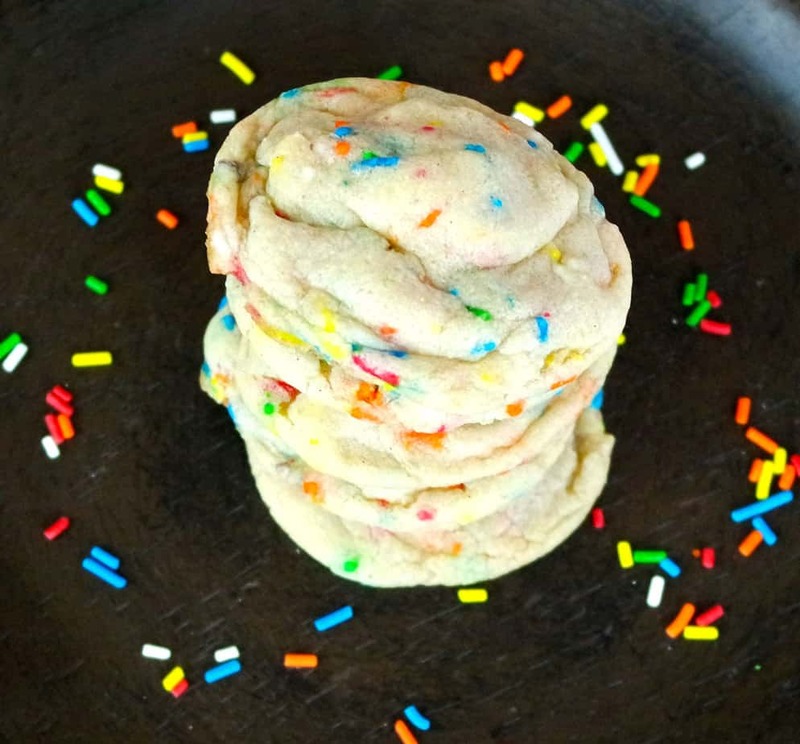 Sprinkle a few extra sprinkles on top. Cool for at least an hour in the pan. This has quickly become a favorite recipe in our home. These “brownies” are a cross between your favorite chocolate chip cookie but are rich and decadent like a blondie. 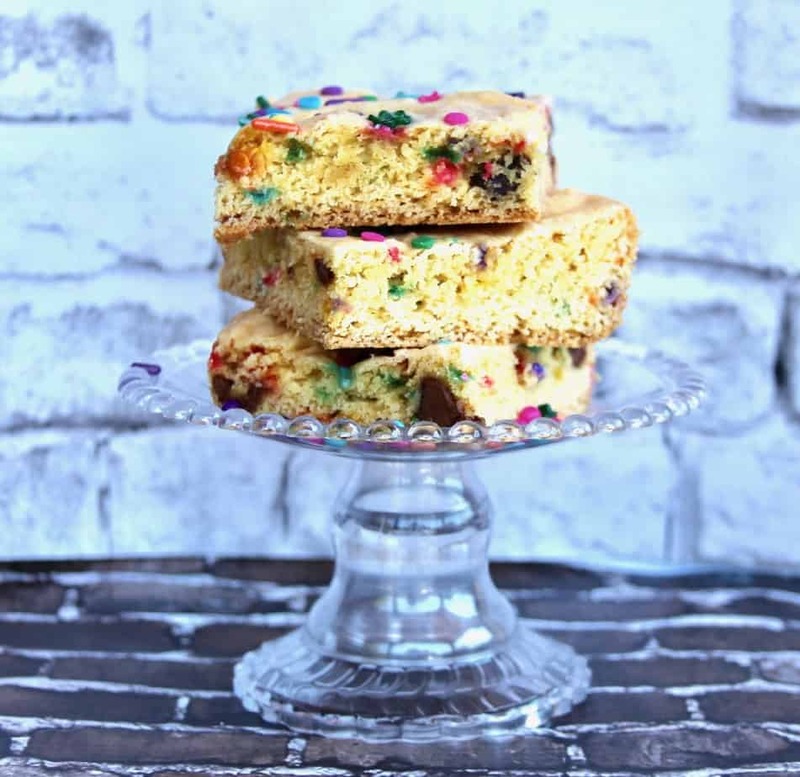 We absolutely love these cake batter funfetti brownies and have a cake dish filled with them on the kitchen counter at all times. They are the perfect recipe to take to a bbq or pot luck or even a school bake sale. Do schools even have bake sales anymore? I can’t remember the last time I heard that our school was having a bake sale. I understand the problems that could arise but I have such fond memories of being able to buy something tat the bake sale for $0.25 – everything in moderation, right? 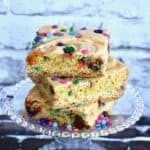 If you enjoyed this recipe, be sure to try my marshmallow brownies, cake batter cookies and even my favorite chocolate chip cookies. We have so many great recipes on Ever After in the Woods. Be sure to try your favorite today! Preheat oven to 350. Grease an 11x7 baking dish and set aside.